The classics are the classics for a reason. They were beloved then and are even more cherished now. I'm hoping these ten picks are still being talked about in ten years time. Have you read them? Why? If you don't know why, then you need to read it. I feel it should be required reading for all human beings. Why? Think Harry Potter meets Narnia. Awesome-ness! This is an adventure series I'd love to live in. If the Fablehaven series never died, I'd be happy. Why? I think this one has already reached Classic status. Best Cinderella re-telling ever written. Every girl needs to read it. Why? I think this one has also made Classic status. A retelling from the Brother's Grimm. The series is for all ages and there is something so classic about it. I'm saying classic a lot aren't I? Why? I hope teenagers are still enamoured with Paris and St. Clair in 10 yrs. 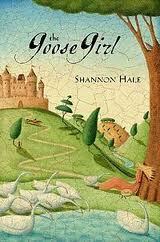 I think what makes this story so great is that Paris is a character in this book. You feel like you are there. And the love story is pretty great too! Why? This is a phenomenon. I wonder what they think of our views of a dystopian future in 10 yrs? Will they find it barbaric? I hope they will be still loving this story. If you've not read, you should. It should be required reading. Why? I love Twilight. There I said it. People can say all they want about the writing not being good etc. But, there is something there. We all were sucked into it until someone said it wasn't cool any more. Now people pretend they never liked it. I even love it when they say they hate it but read all 4 books. WHY would you read the whole series if you hated it? I'm still in love with Edward. The love story spoke me to. I hope people will love the books in yrs to come. Why? This book is made of classic material. It is timeless. I feel women everywhere should read it. This is my favorite book ever. I felt every emotion here. I hope more people enjoy it! Why? I think this one has also already hit classic status. It is one of the best known non-fiction travelogues out there. Once you read it, you want to travel the world! I want to find more books like this. Why? Come on!! It's Cassandra Clare people! Shadowhunters for the win! I hope people are still enjoying these books. They are so fantastic! I'm all over them! Love your picks! And go you for admitting you love Twilight! :) Not many people dare to admit that nowadays. What a brilliant list! 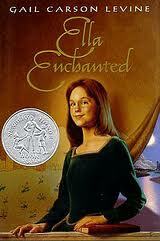 Definitely agree with Ella Enchanted and the Harry Potter books! I hate when someone won't just admit they liked Twilight. 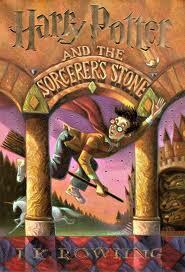 It's not my favorite series of all time (obviously that would be Harry Potter) but I liked them. 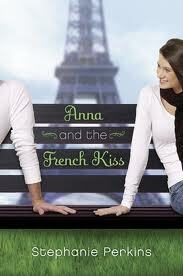 I loved Anna and the French Kiss and The Hunger Games too. Great list! Yay Harry Potter! I hope those books live forever. And I liked Twilight too. It's weird, because pretty much everything about it drove me nuts (and did when I first read it too), and yet there's still something about it that sucked me in. I can't think of any other book that I simultaneously loved and hated. It's so weird. 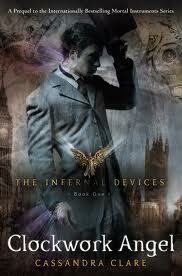 And I haven't read the Cassandra Clare books yet! I actually had Clockwork Angel in my hand the other day, but then put it back because I thought I was supposed to read Mortal Instruments before Infernal Devices. Yes? No? Great list! 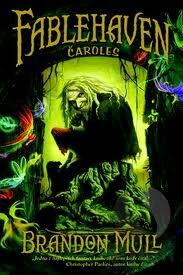 I loved Fablehaven. If you haven't read The Candy Shop War by Brandon Mull, give it a shot. It's awesome too! 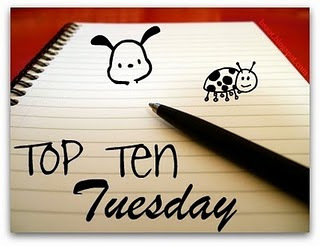 A lot of the books on your list are favorites of mine as well! Great list. 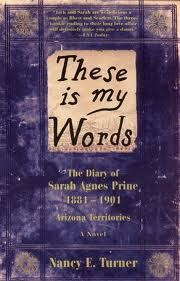 I'm adding These is My Words to my tbr list. 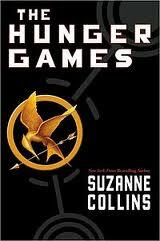 Hunger Games made my list as well...but I think the trilogy should be read instead of just one...I think it stands stronger together. Great list! What a great list. I almost chose a lot of these. I came close on Hunger Games, Anna and the French Kiss and Twilight, but ultimately went with some other things instead. 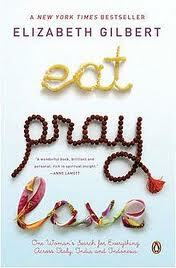 I wish I had added Eat Pray Love to my list!!!! So, I made my way here after another blogger had posted a Library Loot post about picking up These is my Words after seeing this post, and I said to myself, 'hey, that looks pretty good, let me go check it out.' So, I came over here and followed this post to your actual review, and I added it to my Goodreads. Well, on a whim while wandering around at the library I think, let me pick up that there book I added on my GR a few days ago. That was yesterday. I started These is my Words today and just recently finished it, crying uncontrollably. I just want to say thanks, in a very round about way, for posting about this book because it. was. so. awesome. I've been waiting for a book to hit me like that for a while. Cheers!